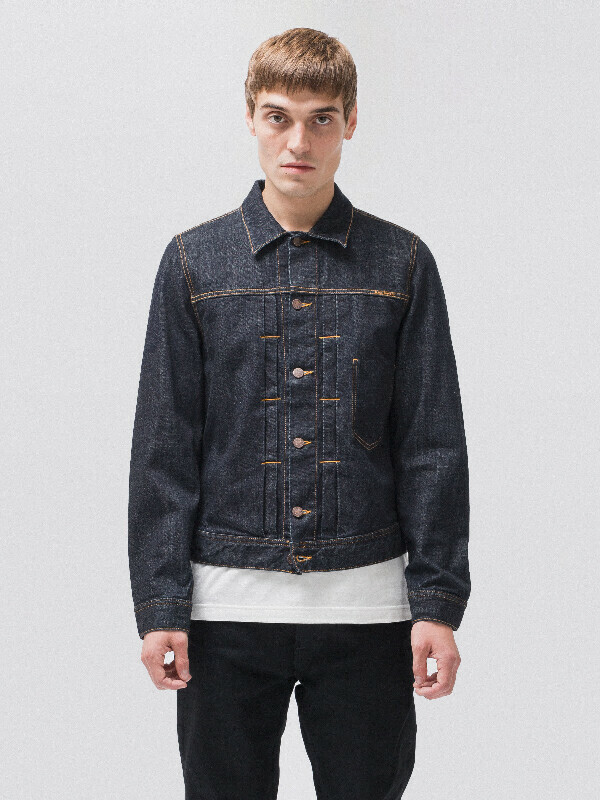 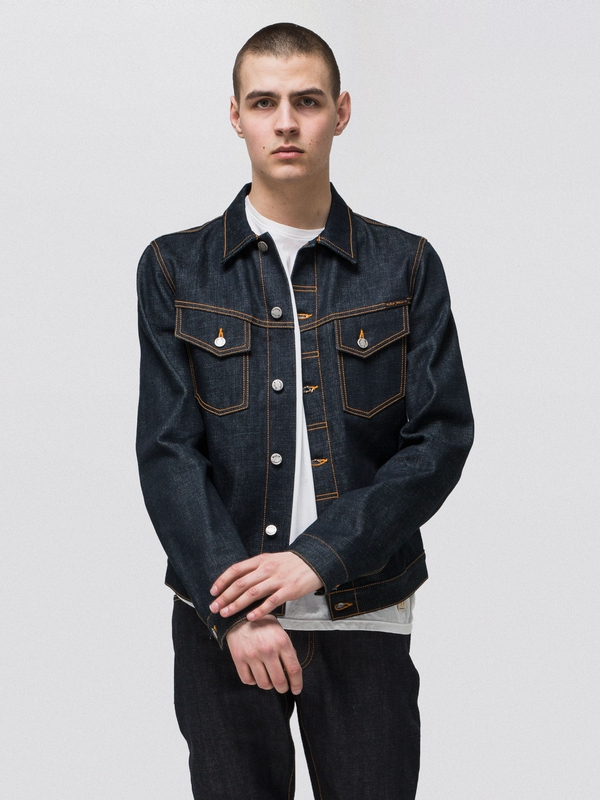 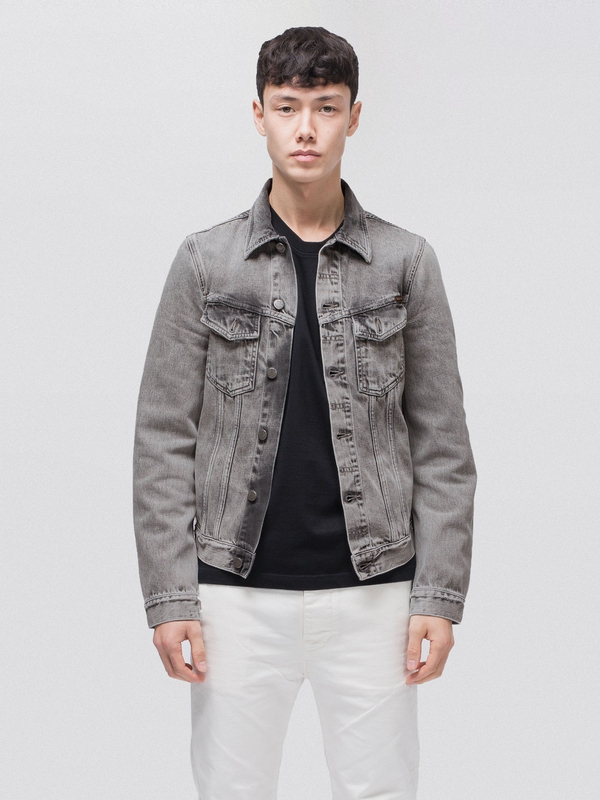 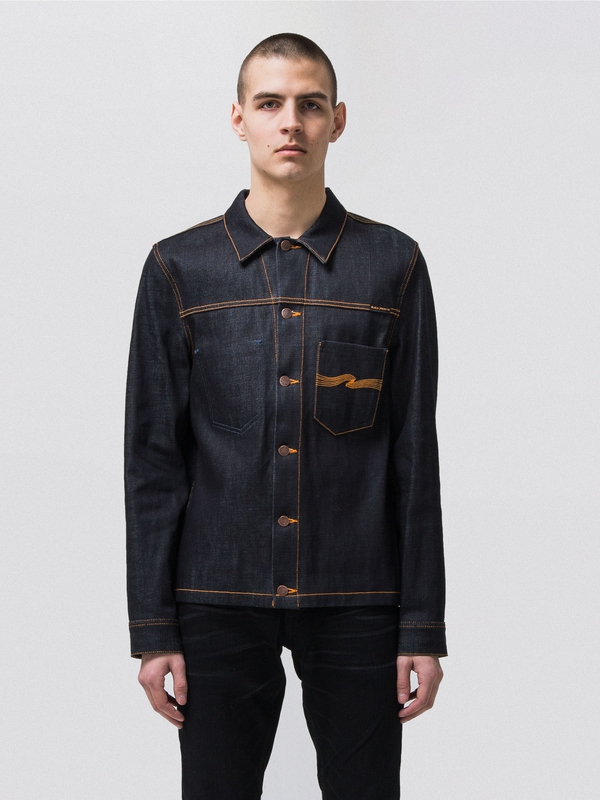 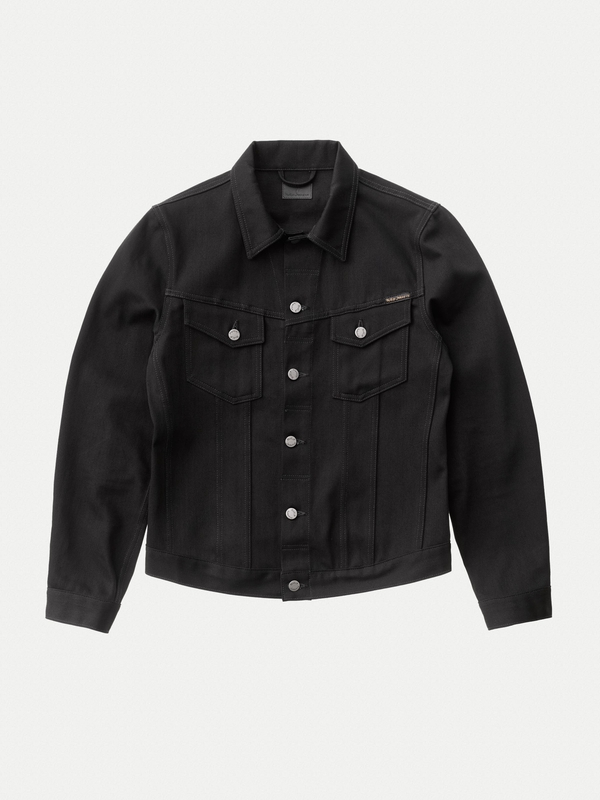 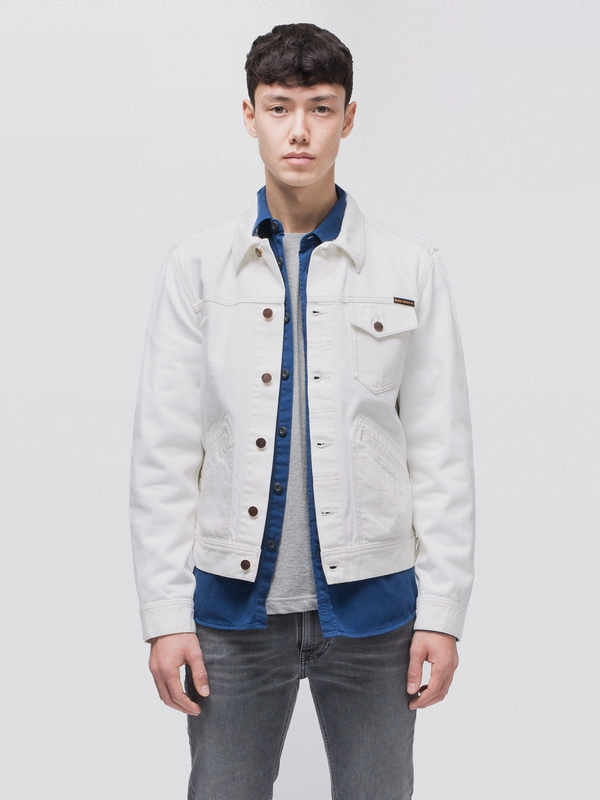 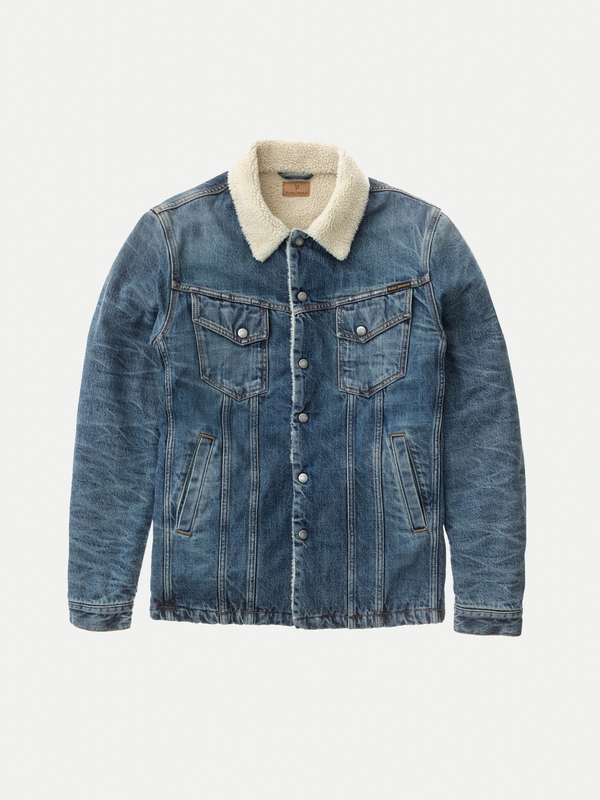 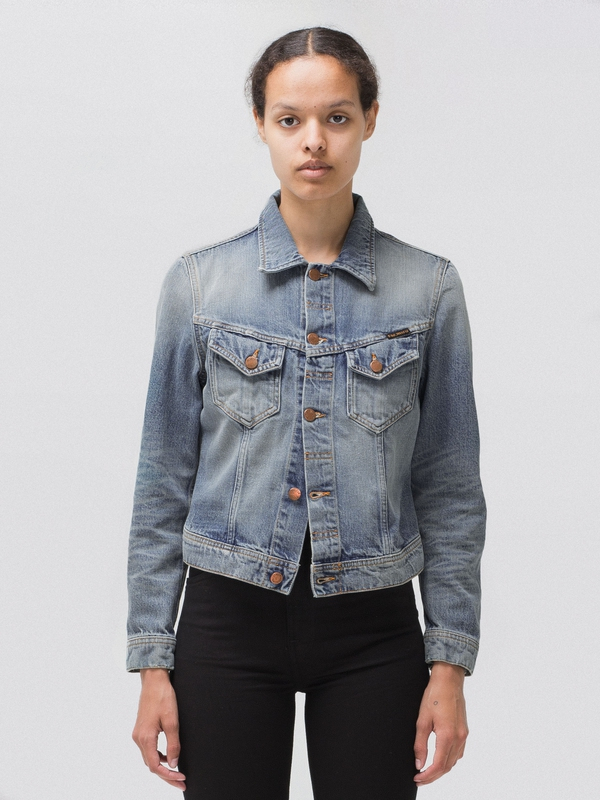 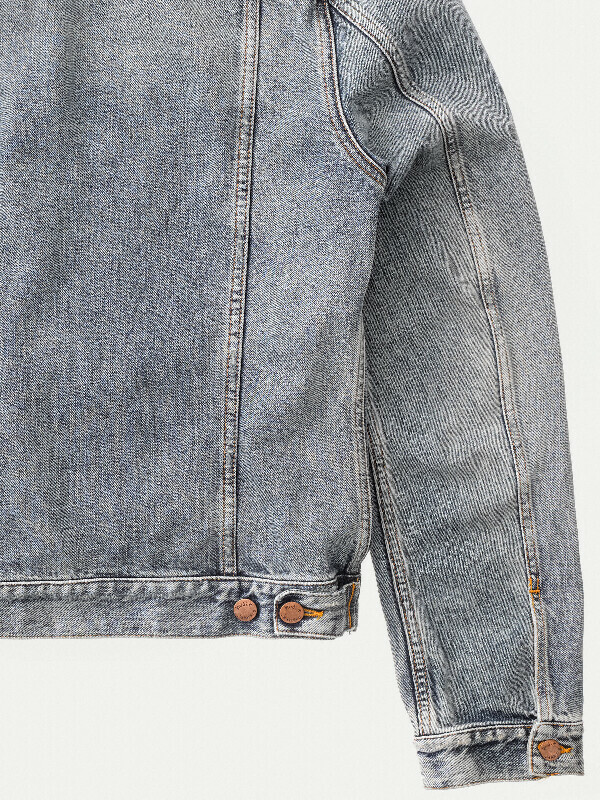 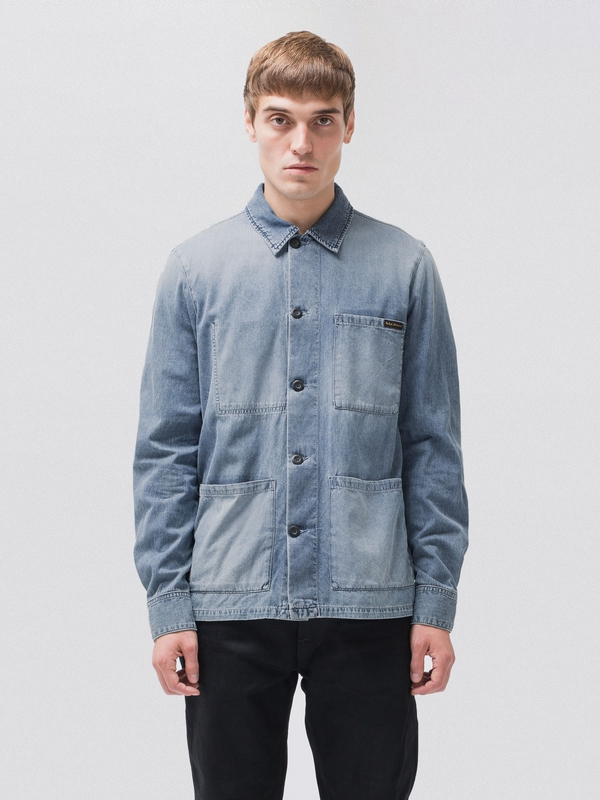 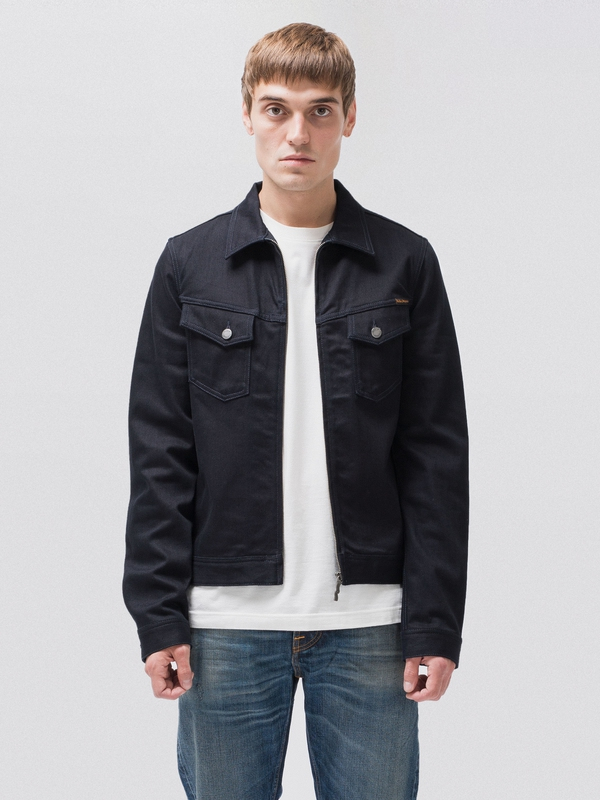 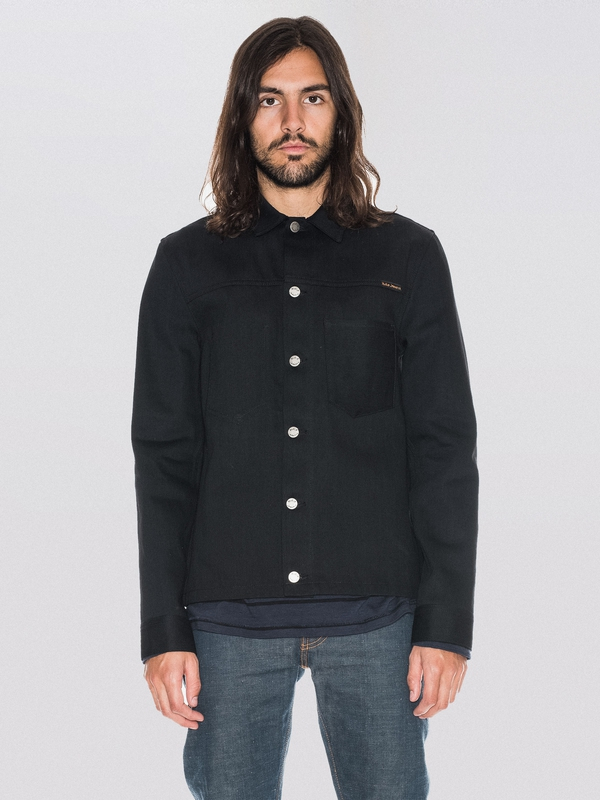 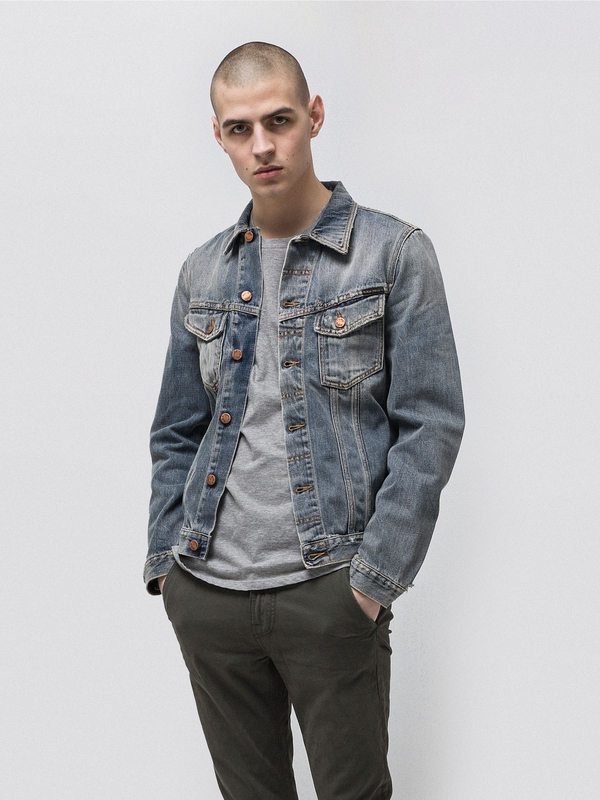 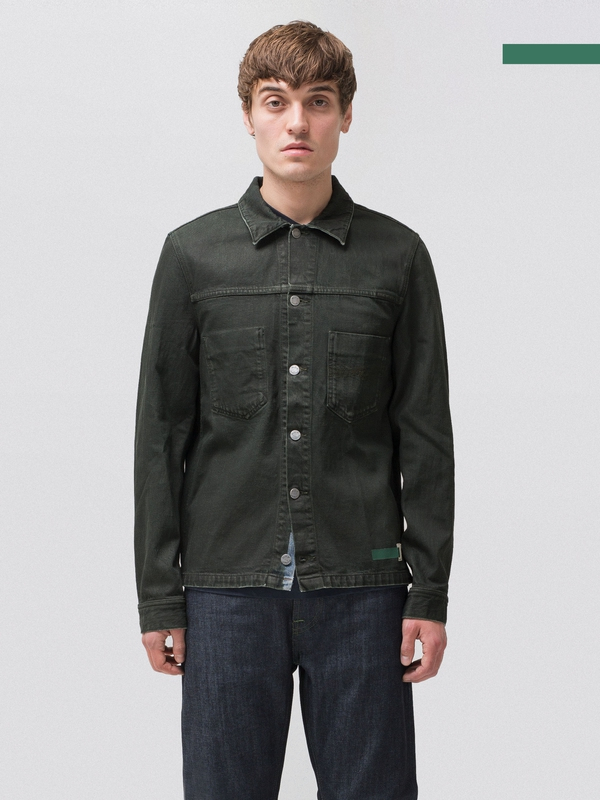 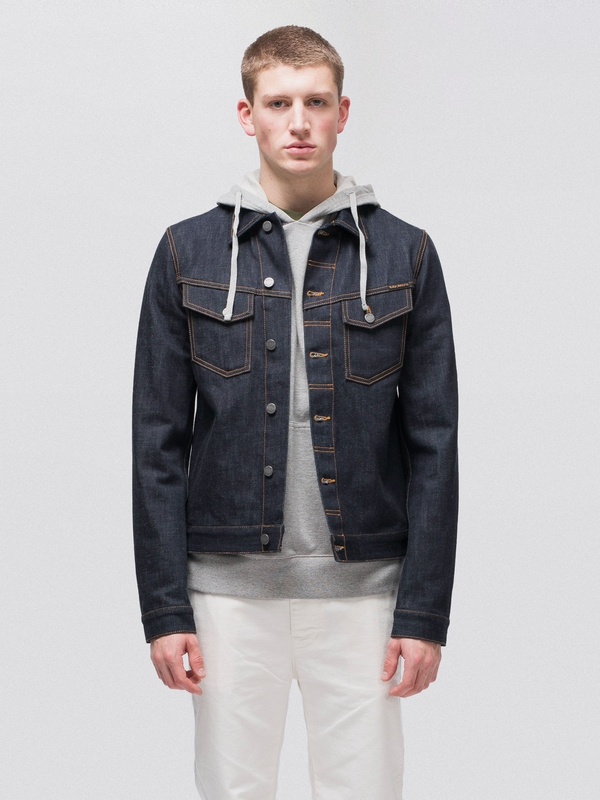 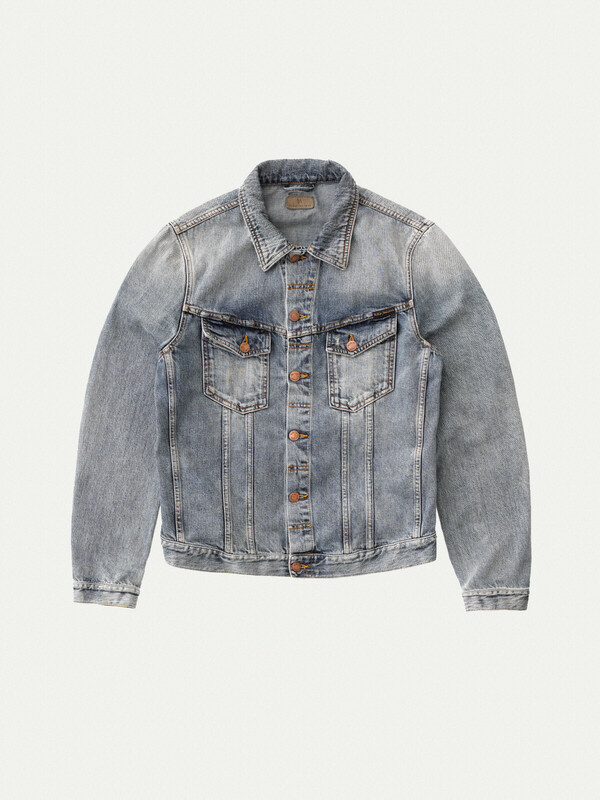 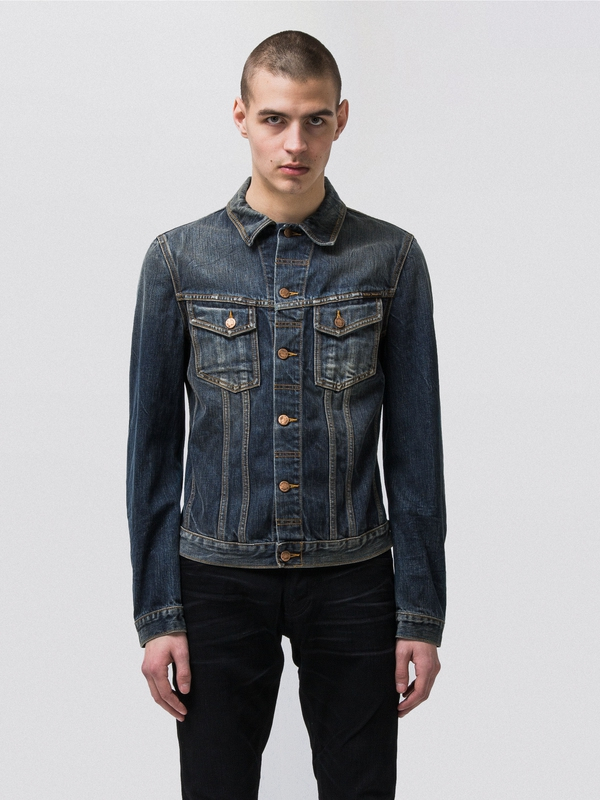 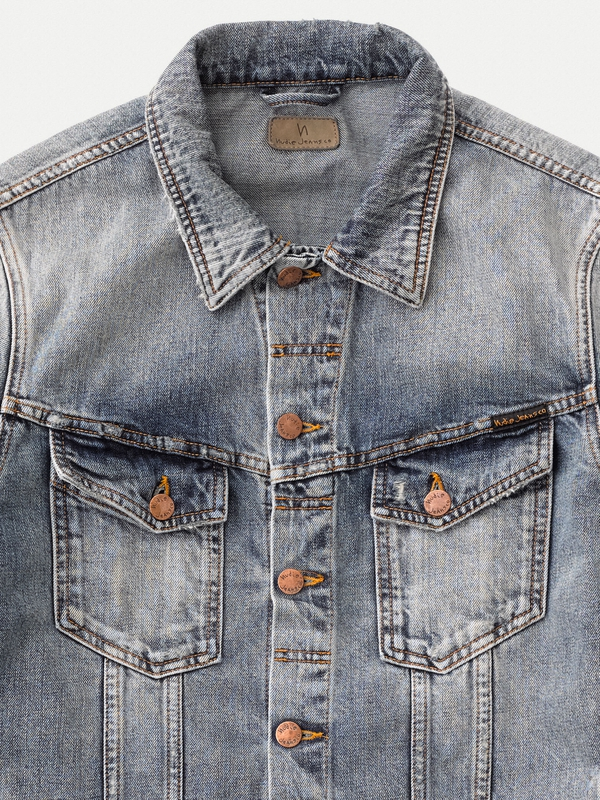 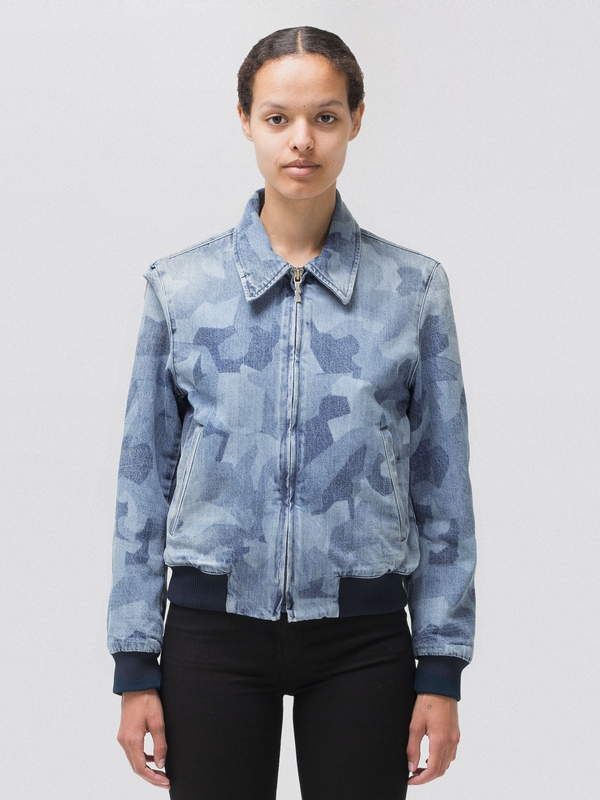 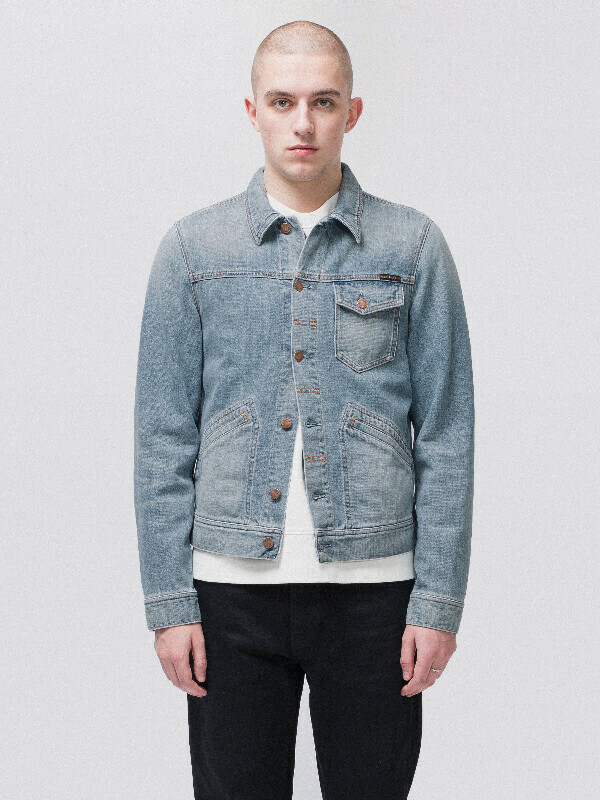 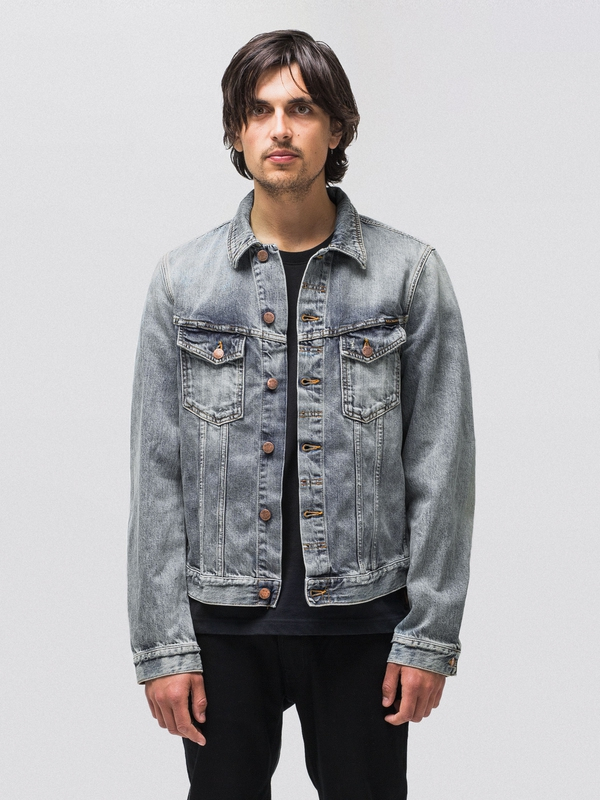 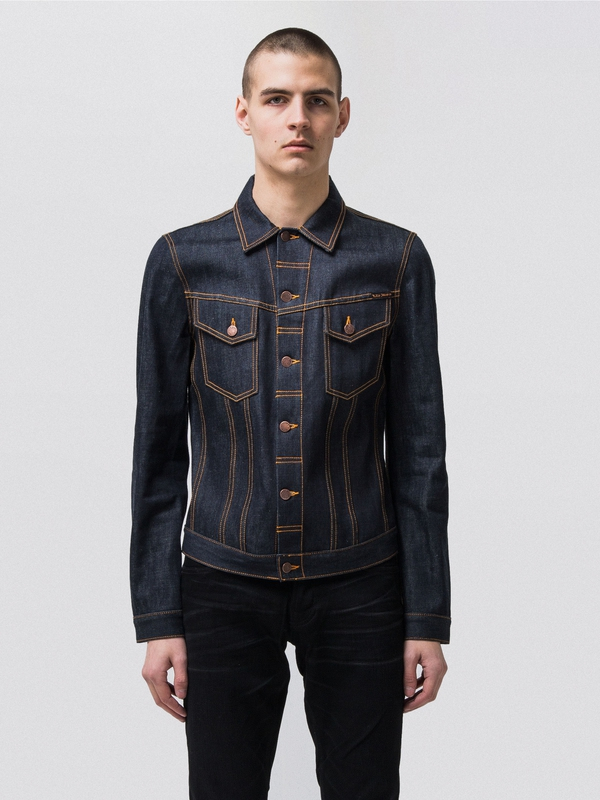 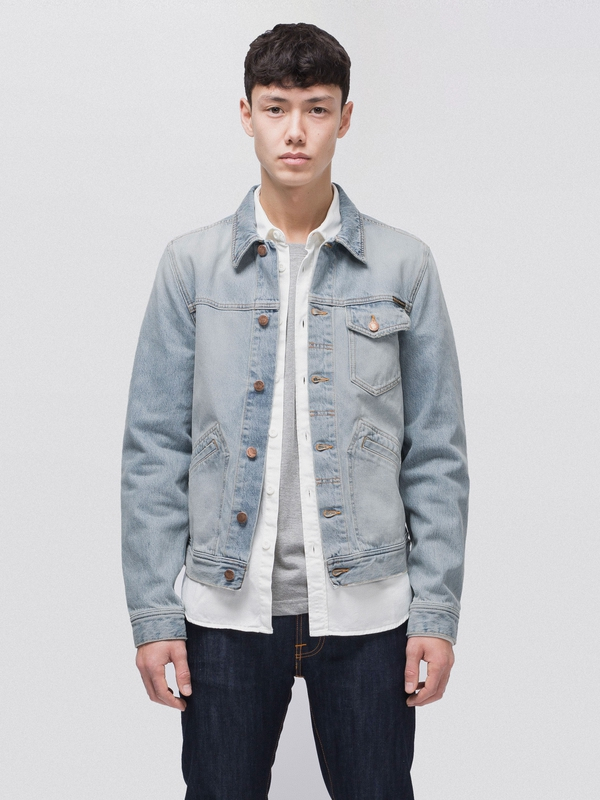 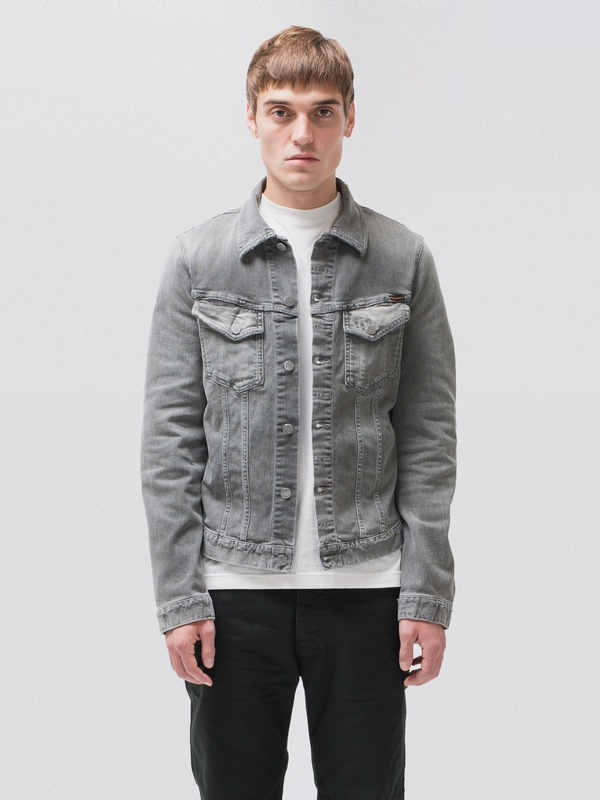 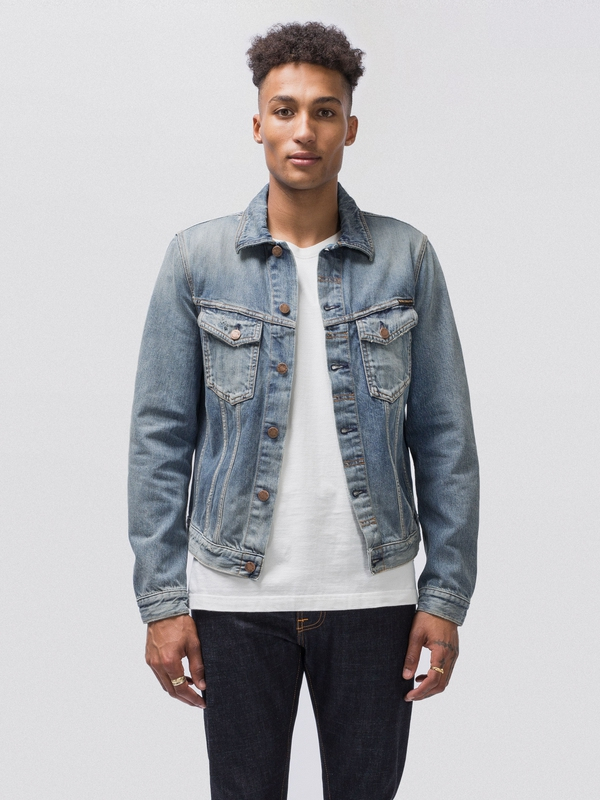 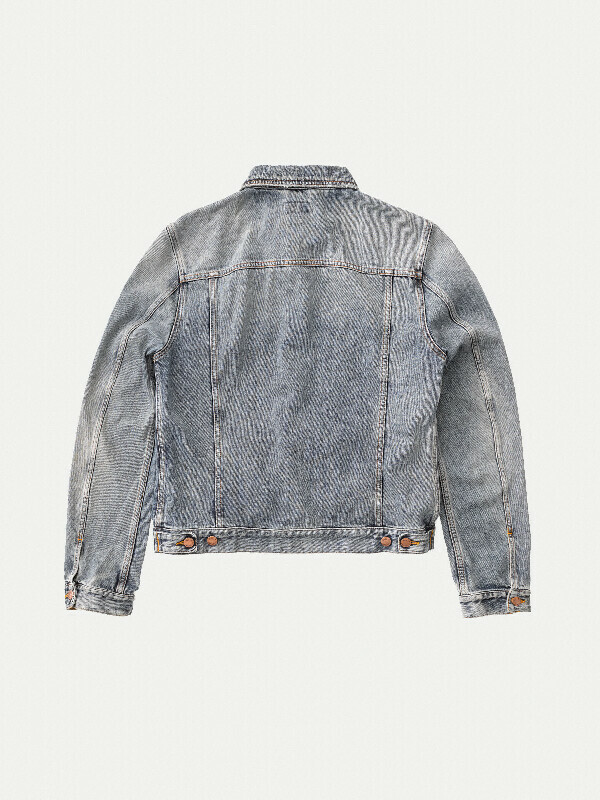 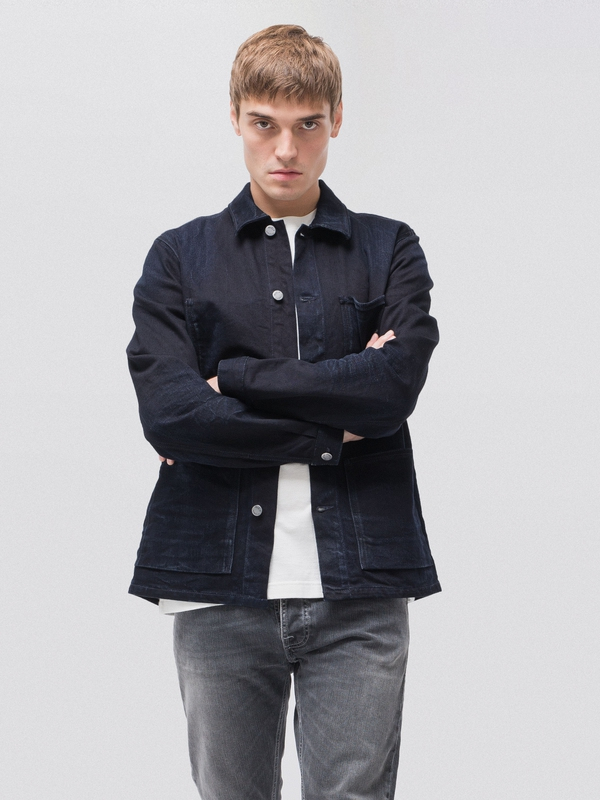 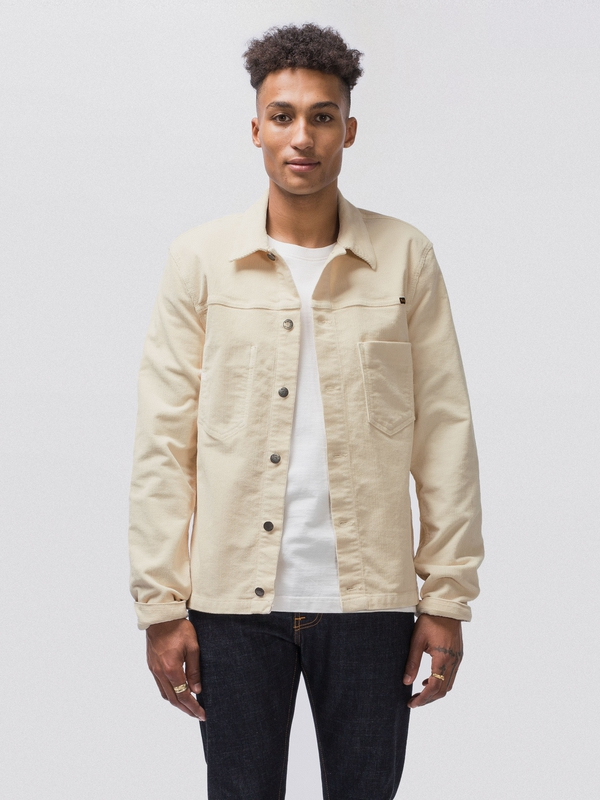 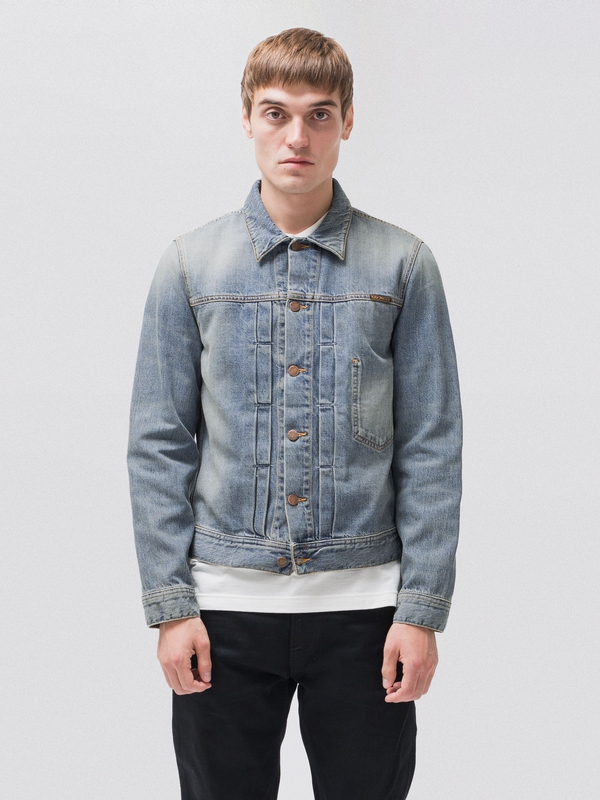 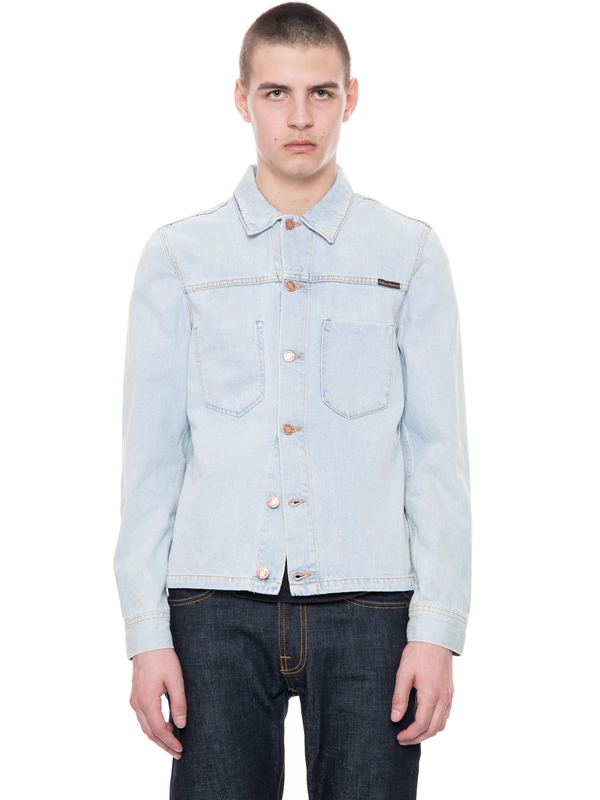 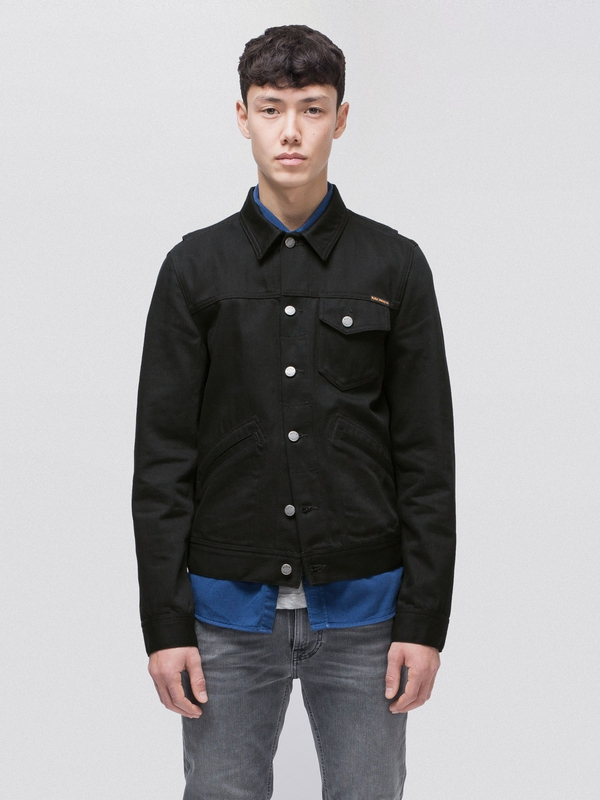 Denim jacket made in 12.5 oz rigid denim with grainy, salt and pepper character and obvious ring spun effect. 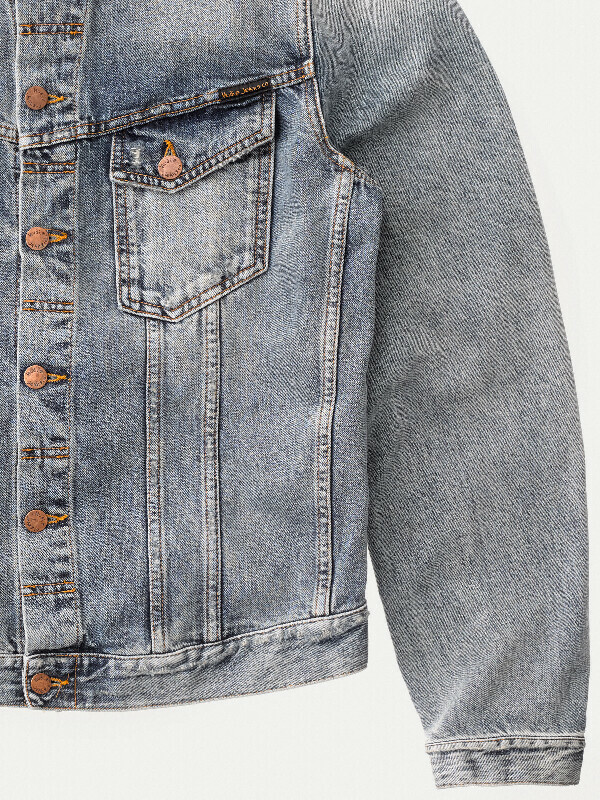 It's been washed down to a very authentic, worn in look with a dusky, cold blue shade. 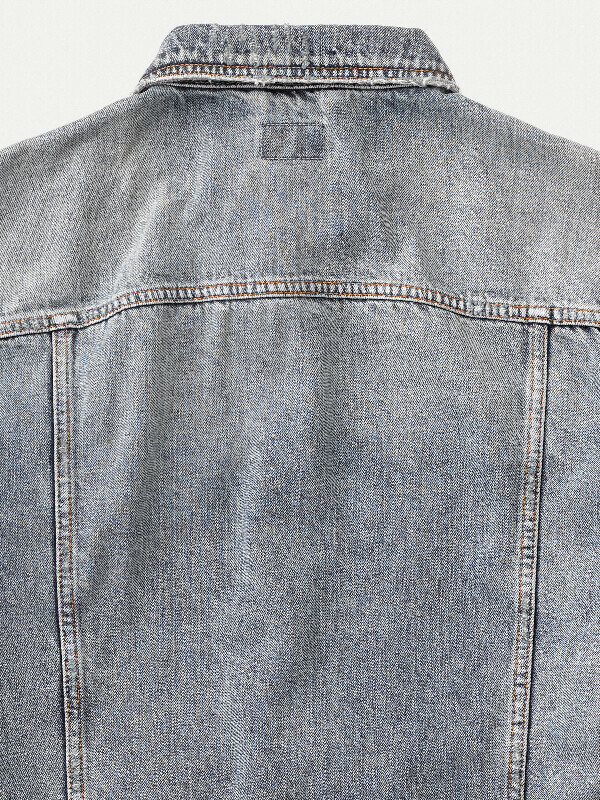 At pockets, collar and seams the abrasions are quite rough with holes and frayed edges, as expected after long time of wearing.